The Benchmade Lerch 790 Subrosa was the first Titanium Nitrous assisted folder that Benchmade ever released, and is now a discontinued piece. 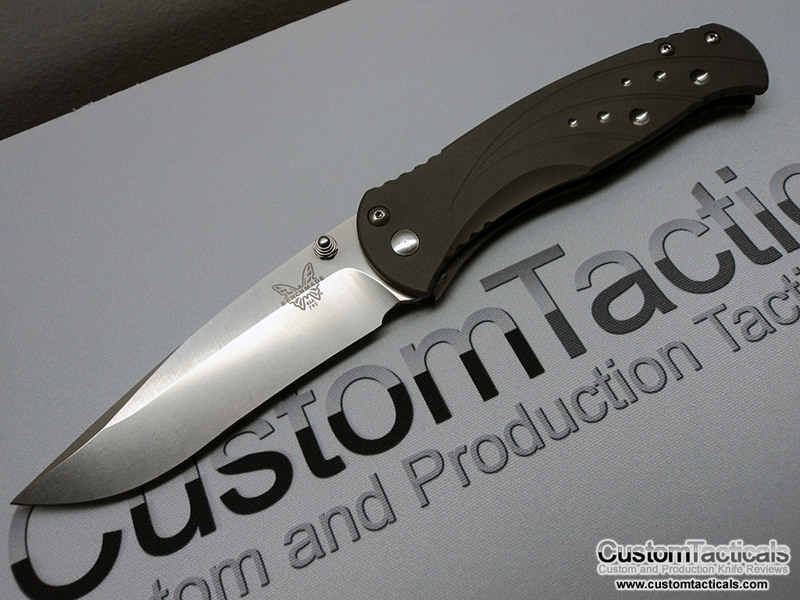 The knife is designed by Matthew Lerch, a custom maker from the USA. Since being discontinued, it does sell for a bit of a premium over the selling price when it was introduced, and for good reason. This is a nice knife. Any knife with the name “Subrosa”, has got to be badass, right? Right. But that’s not the only reason the 790 from Benchmade is so cool, its because its got a beautiful full titanium scales and frame lock with a solid, USA-made S30V Premium Stainless Steel blade that can be fired out using the Nitrous assisted opening system. The knife looks a lot like the Benchmade Pinnacle framelock that has become quite collectible. S30V Stainless steel Clip point blade, hardened to 58-60HRC, with a slight recurve on the blade profile. 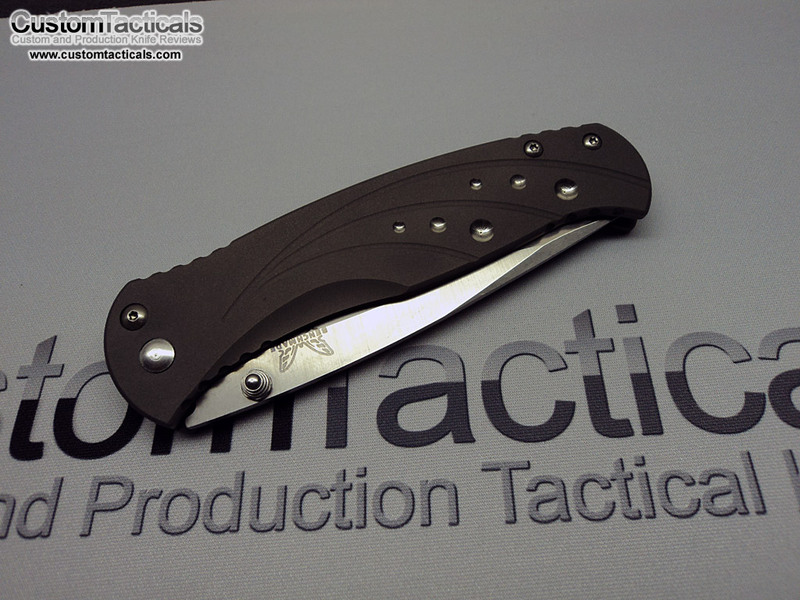 This particular model is a first production run numbered 737 of 1000, and is marked as such on the back side of the blade, which is standard for Benchmade First Production Runs. The blade has a hollow grind, with satin flats and a stonewashed finish on the grind. Thumbstud is righty-only, but could possibly by altered for left handed use… but given that the framelock is more righty friendly this isn’t the best choice for a southpaw. The handle is two slabs out bead-blasted machined titanium, with cool satin drilled divots in it for design. They remind me of Matt Cucchiara’s “fizz” treatment that he used to do on his handles. Very cool stuff. The handle is super confortable and fits my smaller hands as well as larger hands really well. The handle decoration adds a little bit of extra grip to the surface as well, though the blasted titanium is already quite grippy in its own rite. The pivot area is a bit odd on this, because the lock bar is really forward on it, running really close to the pivot screw. Usually the lock bar is further back on most framelocks. I’m not sure what the design or function rationale was that resulted in this placement. Superb fit and finish from Benchmade’s Blue Class here, USA-made and proud of it. It is on par with the best Blue Class Benchmade knives. I personally find that Benchmade’s quality and fit and finish are generally VERY consistent, and probably the most consistent of all of the mid-range Production knife manufacturers. We’re not comparing them to CRK here, but other guys like Spyderco, Kershaw, etc. Benchmade’s knives to me have a predictable level of fit and finish generally, and rarely am I ever suprised one way or another. They’re solid, and you get what you expect with them. While I love Spyderco, due to their extensive manufacturing facilities, their quality and construction methods, while good, can still range quite a bit. 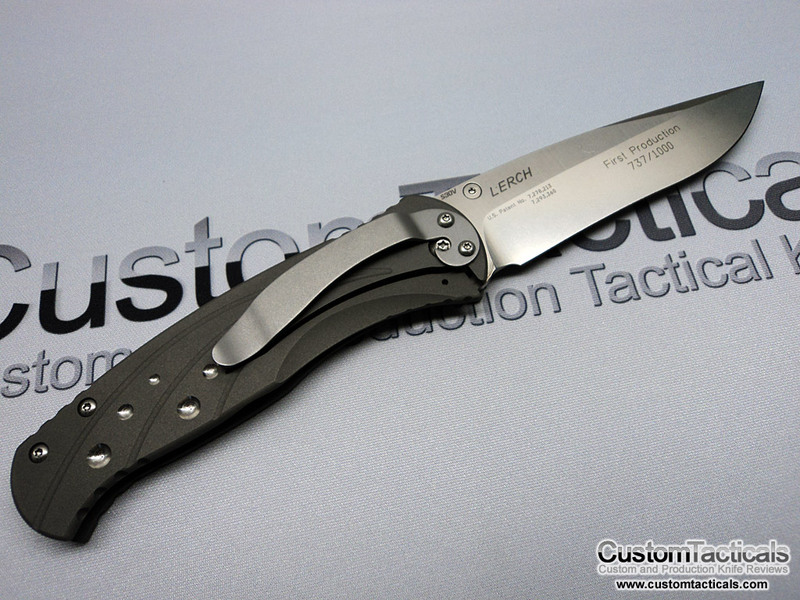 The 790 Lerch Subrosa is a well-machined, great EDC knife. I highly recommend it, especially now for collectors.